Amazing images here. Amazingly peaceful feeling from watching it. Hopefully amazingly inspired to support the World Wildlife Fund (their old name but still used in the US and Canada) and their great work. 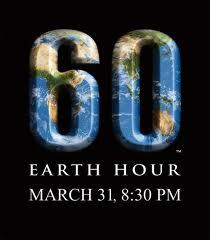 Tonight, from 8:30-9:30pm in whatever time zone you find yourself, try flipping the switch off on lights for Earth Hour, when people around the world take an hour’s worth of dark time to rededicate themselves to the environment. Last year’s efforts were joined by more than 5,200 cities and towns across 135 nations, squarely putting the (turned off) spotlight on climate change. It is the world’s largest voluntary action for the environment–just sixty-plus minutes (the plus of the logo for what you are willing to do beyond the hour). Light a candle and enjoy the company of family and friends, maybe come up with a few more ideas of what you are willing to do for the planet. It’s easy to be a part of the movement–just flip the switch for our future. This is a great idea, based in the UK. 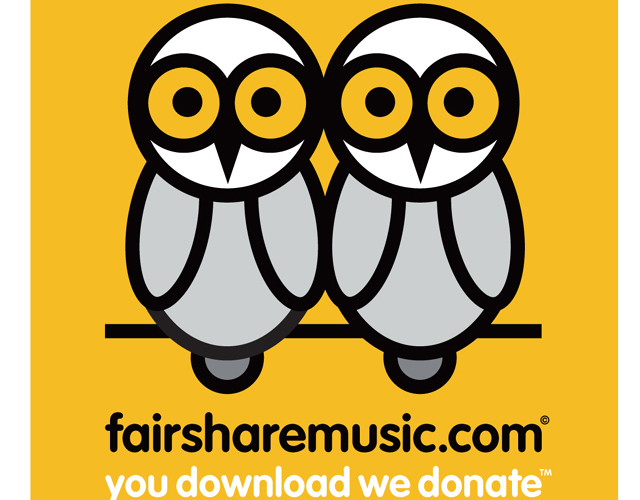 FairShare Music does good things with great music. Just like all the rest of the music download sites on the web, they offer tons of songs (over 13.5 million tracks with new releases coming out all the time) legally–not pirating–and for every song you download, they give half the profits to the charity of your choice. They embed generosity into music–one of the inspiring and comforting things you already do for yourself. It’s so simple, really. They currently partner with 18 great charities (Amnesty.org.uk the British arm of Amnesty International, the British Heart Foundation, British Red Cross, Cancer Research UK, Centre Point for homeless youth, Friends of the Earth, Great Ormond Street Hospital Children’s Charity, Marie Curie Cancer Care, NSPCC to end cruelty to children, Oxfam, the Royal Society for the Prevention of Cruelty to Animals, Sue Ryder Care for people with life-changing illness, the Teenage Cancer Trust, V-Inspired to get youth involved in volunteer service, Virgin Unite the charitable arm of Virgin Airlines and Sir Richard Branson, War Child protecting children from war and helping the recover from its effects, World Wildlife Fund, and Youth Music to empower young people through the arts. Next time you find a brilliant new band on Spotify or Pandora or from a friend’s recommendation, think about spreading the wealth for something you would do anyway. It is effortless giving…we can all afford that. 2010 is the “YEAR OF THE TIGER” on the Chinese lunar calendar. How ironic that the very existence of tigers is teetering on the edge right now as so many have been killed and poached and wiped out from their natural environments. There are probably about 3,200 tigers left in the wild–that’s in the entire world. 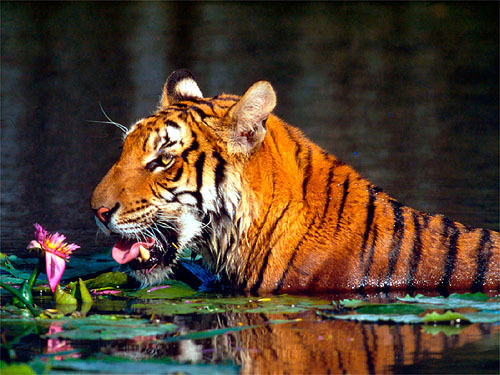 The number of tigers in the wild has declined by 97% and three subspecies are already extinct. The Chinese calendar repeats every twelve years. Continuing the decimation of the species means that by the next Year of the Tiger, in 2022, they could all be gone. The World Wildlife Fund has a subsite: Save Tigers Now where you can learn more as well as donate directly to their conservation efforts. The goal is to reverse this ridiculous decline, and in fact DOUBLE the population of tigers in the wild by the year 2022. Leonardo DiCaprio is the ambassador for Save Tigers Now, and his commitment (to this and so many hugely important environmental issues), and ours, is what it will take to counter the poaching demand (tiger skins, bones, and organs are used in Chinese medicine and as tourist souvenirs) and indiscriminate clearcut logging and habitat destruction in Asia. Anyone who knows me (or has looked at my photo on the “about” page of this blog) knows that I am wild about tigers. My experience at the Tiger Temple in Thailand and holding 5-week old tiger cubs as well as interacting with an adult tiger are memories that will always be with me. May we take the action required so that tigers can be more than only memory.